Good article. So obvious that MS and RW are protecting the Rajapakshas and the corrupt clan of the previous regime. No question that MS is a spineless patholaya and Ranil a gutless, balless, hypocrite clinging on to power on the coat tails of Maithri. RW is a born loser, does not have the charisma or savvy to lead the party or be the PM, is a sad specimen of a power hungry creep who has lost almost every election that he contested. At least he must realise that why he is the PM today is because the UNP supported Sirisena at the last elections because he knew that he does not have the support of the people. The latest attempt by him to suppress the NCM against the 16 SLFP pricks who voted for the motion to remove him just shows what a liar and cheat this guy is and how he keeps changing his tune by the day and hour to con the other UNPers of his motives and carry on as business as usual. The good young guys in the UNP like Harsha and Harin and Eran need to breakaway from the UNP now ASAP and form a new party with educated, honest politicos to become a fourth political force in the country. UNP, SLFP, SLPP and the new party of decent committed people who have the interest of the nation and its citizens is what we need. All these fossils who are now in politics need to be kicked out and we need a political revolution of young leaders like in France and Canada and New Zealand. SL has suffered since independence due to the extremely poor quality of our leaders and riff raff politicians who see governing as a business to enrich themselves and the friends and relatives. A very good article. Over 6 million voters believed that President & Prime Minister will take necessary actions against MR & his clans for robbing this nation and the crimes against humanity. They are not asking to kill or prosecute them but to allow the law and order and justice system to do its duty. Three years is very long and if you don’t take any action against them people may not forgive you and turn against to you before those criminals drag you into the streets. I think we have a NEw pabakaran who will take the minorities of 31% to their promised land both the Nasirishthan, Orumiththanadu and Evagelist – Vatican some ehre in colombo. Need to watch how this will unfold. 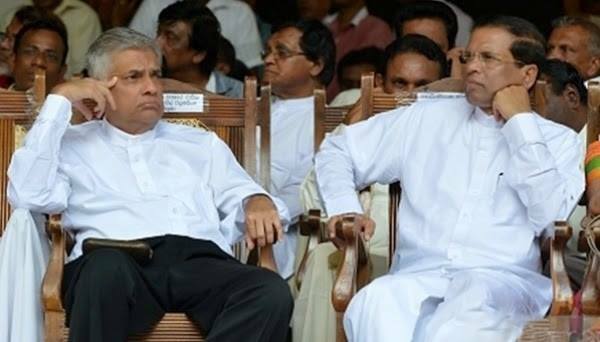 I hope Ranil will not drink against and drink his own vomit while sleeping. Everything has broken down in this country, just show me one sphere that has not, and even now, only a repair job headed by someone like SF will be able to put this back to some sort of order. Another great piece by Suranimala. “Racism was not created by the illiterate. It has always been sparked by the educated extremist or politician. The illiterate and the desperate will follow and turn to violence. ” There is an educated extremist even in the present government, once famous for producing petrol from polythene, but nowadays in the garb of a great city planner. Our constitution is a patchwork periodical. Nowadays, it seems there are no competent legal draftsmen to write clear and unambiguous laws. Everything must go to the Supreme Court. We need foolproof laws against racist incitement and hate speech. The law must be used against anybody regardless of what robes they wear. And of course, the camel in the tent: Why is NOBODY pressing for the removal of the right of MP’s to change sides after being elected? This is the single biggest corruption issue, but everybody talks of non-existent bond scams. Ranil went to New York to save Old King. He refused to sign Rome Accord. He fired Mangala for signing Resolution 30/1. But some of you guys are saying Old King brought the NCM to catch and punish Ranil on Bond Scam? A joke cannot go like that…..
An apt synopsis by the author of this country’s post independence history! Behind Tamil diaspora is CIA. A IRish Journalist in PARISH says, Itis the TEXT book Strategy of CIA to send Monirities against the Majority. They had done it else where. Itis PArt od the PIVOT TO ASIA. 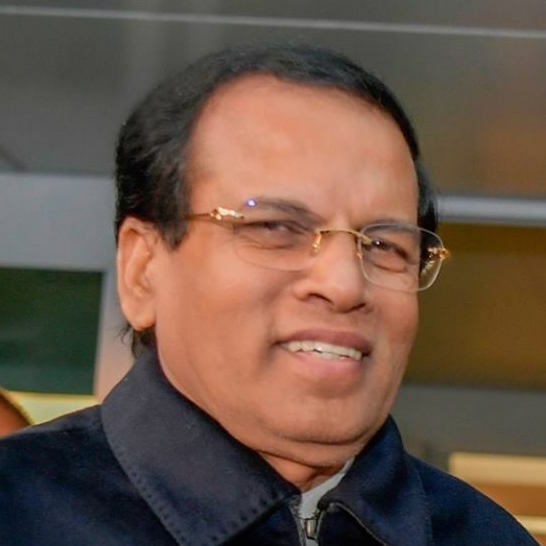 The crisis in Lanka is Structural and organized by the sole superpower that is using its Sri Lanka Sinhala Buddhist Diaspora citizens – Basil and Gota as Manchurian Candidates while “advising” Ranil with Fake Economic Development Experts. The bi-partisan UNP-SLFP political corrupt governance racket IS a structural crisis in Lanka today, and is organized and brokered by Ranil’s US/ Washington handlers and “policy advisers” whose anti-China game in the Indian Ocean and strategically located Sri Lanka is: “Heads I win, Tails you lose”.Just think, Ranil’s UNP goons have attacked the Sirasa and News First media, just like Mahinda and Gota Jarapassa did! US citizen Gota, who privatized the most lucrative SL navel operation to a foreign Surveillance and globalsecurity company called Avante Guard is the Manchurian Candidate for President of Lanka today protected by Bondscam Ranil on instructions of his foreign handlers. Also, Anti Tamil 1983 riot/ pogrom, and more recently anti Muslim riots in 2018, all happened during the UNP regime pushing neo-liberal reforms (advancing US strategic interests and access to Data platforms – financial, biometric, marine, land bank etc) for which the minorities were scapegoated as the economy crashed due to corruption. Anti Muslim riots were to distract us from Bond scam, organized by Pathala Champika Mega Polis BBS and Mahasohon Patron to benefit Ranil and keep mega ego Pathala – China’s emperor..
Bottom line is, Bondscam Ranil must be impeached for Grand Larceny at the Central bank of Sri Lanka sooner or later and Ranil should share a prison cell with Mahinda Rajapaksa, and US citizens Basil and Gota the Avant Garde Navy Scammer. Is operating on navels that lucrative? I thought kidney transplants are more lucrative. Ranil UNP goons attacked Sirasa. Just a few crackers were lit at dawson street by Jubilant UNP supporters and there was no such attack. Check your facts b4 commenting. May be you must be Faraz Shauketaly the killi mahendrans mud dog. Sri Lanka should have retroactive legislation and Chora Rujina, MR Ranil and many more should explain and allow the impartial courts to decide it. PZrliament is full of MEga billionaires and can not be explained with their salries. Kiriella and John amaratunga are billionaires. HOw did that happen. Basil has assets all over the world. How come. Suranimala, Excellent and thanks! But you forgot the global networks and super power security and business interests (of the Global 1 percent), that promote a market for Corruption and Buddhist Wahabiism in South and South East Asia — to divide, distract and rule the post-colony that is being encroached by China these days..
What you describe is a near global phenomenon in a majority of Third World counties (Africa, Asia, South America) that are pawns of Superpowers and the new Cold Wars that are brewing. Sri Lankan politicians have become Mega corrupt with Foreign Aid projects that are White elephant Debt Traps for local people and so called AID FOR TRADE. . In the name of Development we have fake development aid and experts that buy corrupt local politicians in the name of Aid for Trade – aka. Fake Development Projects – Mahinda Rajapaksa Hambantota white elephant port airport, Central Bond scam with advise of IMF and Washington to keep UNP going, protection of Basil and Gota by Ranil all brokered overseas. What happened to the US and UK anti-corruption experts who were to track dow looted wealth from Lanka and those stored in Panama Papers and Pardise Papers? Gone with the wind. Protection of US citizens Gota and Basil is important if Ranil fails in his mission to advance the security interests of the sole superpower in the Indian Ocean and Rajapaksa family comes back! Political poetry. Loved reading this. We know the Rajapaksas are corrupt but they continue to evoke the belief that they would return to power by stoking Sinhala-Buddhist nationalism, the refuge of all crooks down the ages of Sri Lankan history. It is time that the diaspora, both Sinhala and Tamil, prosecuted these thugs when they visit foreign lands for the mayhem and killings they have effected. It is hopeless to think that the judiciary in Sri Lanka will do anything about this. That is why Sillysena says no to foreign judges for war crimes trials. War crimes trials there will be. They will take place outside Sri Lanka. When the time comes, some foreign state that is annoyed will leak sufficient information about the Rajafuksas. But, the electorate is pliant. SL will become the football of foreign powers with the Rajafuksas as willing players on the part of the Chinese. We will all be grass trodden in the battle of the elephants. We all like to see SLK taking a page from South Korea or follow what happened in Zimbabwe, when it comes to dealing with corrupt leaders, and as an extreme do what China does, taking them out at dawn and shoot them. But SLK is SLK, those countries have a working law and order system. Sri Lanka has not got such a system. I don’t have to say it, Ranjan Ramanayaka said it openly in the Parliament, and for saying the same thing in public outside he is being prosecuted. So don’t hold the breath hoping that corrupt previous regime or the corrupt present regime leaders and all acolytes will ever get arrested or prosecuted let alone be punished. Even yesterday some law man has predicted that even Bond Scam criminals including the PM would not have to answer any questions in a court now that PM has won the confidence at the parliament. Sri Lankan leaders are good at twisting words to suit them and twisting the circumstances to suit their situations. You sure have heard of the excuses that the Man that Climbed Down from Kitula (jaggery palm tree, the palmyra). It is just the same …….. our Sri Lankans mind set, corrupt. It cannot be washed off. Some seventy years of vertical thinking has led into or sorry plight. Thank you Suranimala Umagiliya for initiating lateral thoughts. Our hopes lie here. The prosecutor jury and the executioner… heh heh….